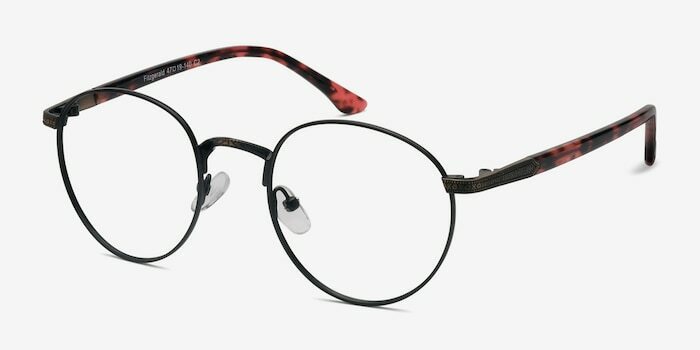 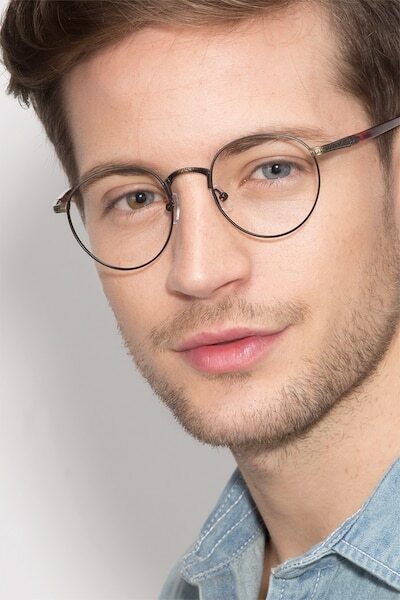 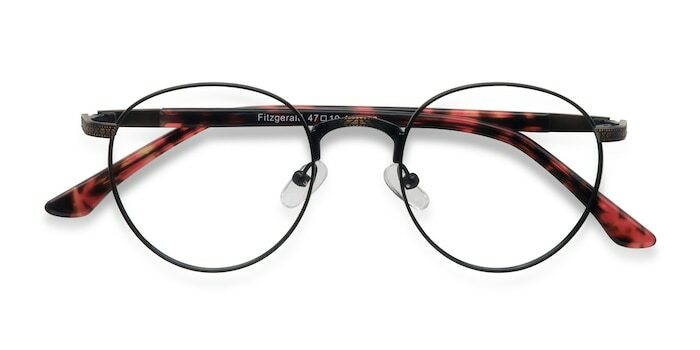 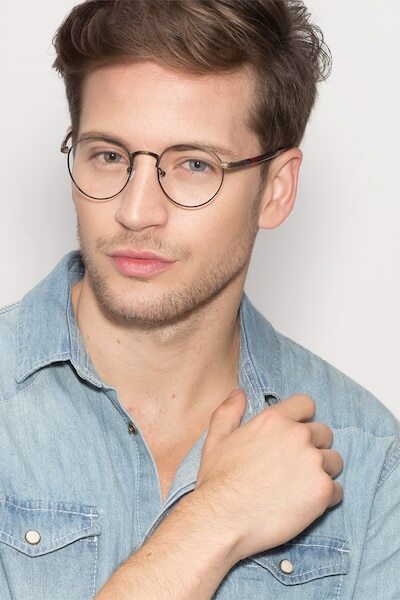 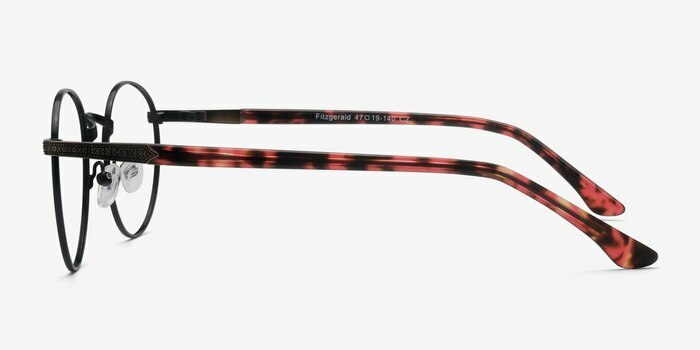 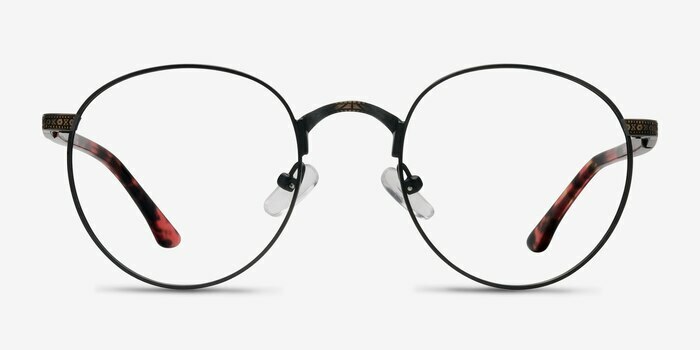 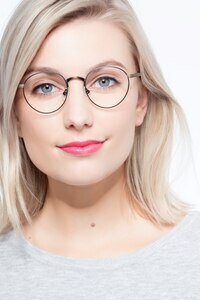 These black bronze eyeglasses are perfect for adding an artistic yet intellectual accent to your look. 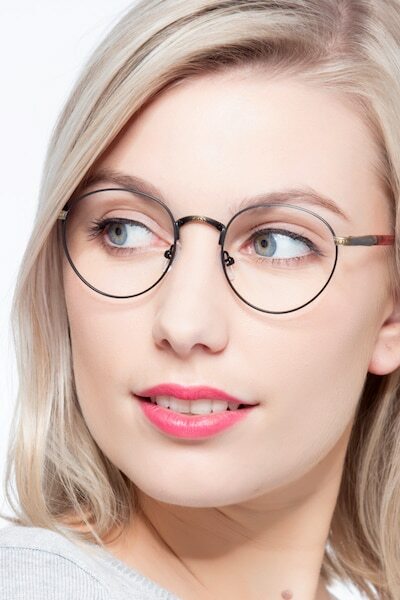 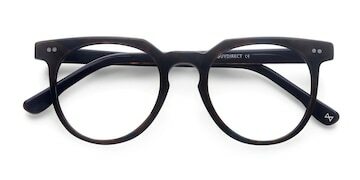 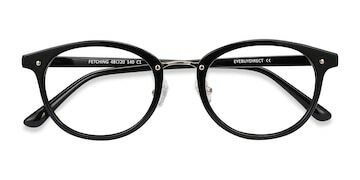 This round black-rimmed frame is universally flattering in a thin matte finished metal. 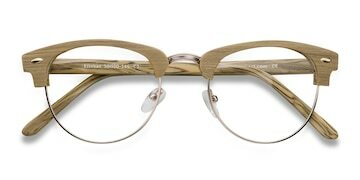 The semi-transparent temples are fiery and fashionably contrast the antiqued etched bronze metal details.